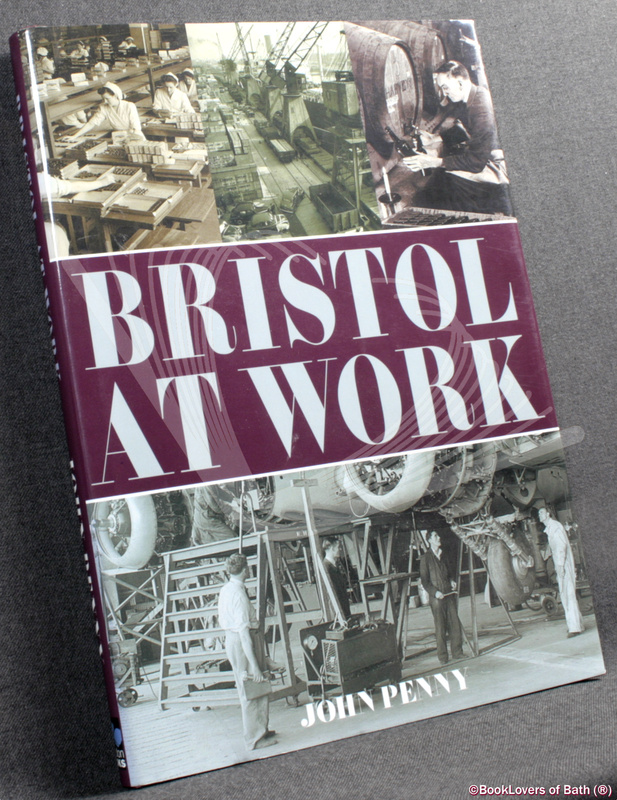 Bristol at Work by John Penny soon to be presented for sale on the terrific BookLovers of Bath web site! Published: Derby: The Breedon Books Publishing Company, 2005, Hardback in dust wrapper. From the cover: Bristols working life the foundation of the economy of the city has never before been the subject of a detailed, highly illustrated history. John Pennys fascinating account of this vital aspect of the citys past uses a remarkable selection of rare photographs and other illustrations to record the variety of businesses, trades, industries and services that generated Bristols wealth and gave a livelihood to its people. Although dealing with the origins of most of Bristols traditional industries, the starting point is really the mid-18th century when a number of concerns were established that flourished locally until the dawn of third millennium. He chronicles the rise and fall of businesses, processes and products that once fuelled the economy of a great city. Chapters are devoted to each of the main types of employment, within which are concise histories of the citys most important companies and undertakings. Over the centuries Bristol has established itself as a centre for industries as diverse as tobacco, chocolate, chemicals, brick-making, pottery, ship-building, motorcycles, publishing, banking, insurance, aviation and brewing. Throughout this time the city functioned as one of the foremost ports in the country. Conditions and processes in these trades and industries are described in vivid detail, and the author recalls the generations of Bristolians who spent their lives working in the city. Many readers will be surprised to learn of the huge variety of work carried out locally over the last 150 years and will be reminded of just how many well-known local firms have disappeared within their lifetimes. John Pennys revealing, thoroughly researched and lively account will be essential reading for everyone who enjoys Bristols history. Very Good in Very Good Dust Wrapper. Small ding to the centre of the upper panel. Text complete, clean and tight. Burgundy boards with Gilt titling to the Spine. 195 pages. Index. 11″ x 8″. Of course, if you don’t like this one, may I entice you with something lovely from my Local History catalogue? This entry was posted in Books For Sale and tagged 1859833551, aeronautical, aeroplanes, bristol, chemicals, chocolate, coal, england, firm's, history, industries, lead, locomotives, mining, occupations, packaging, penny, port, pottery, printing, quarrying, railways, ships, tin, tobacco, trains, zinc. Bookmark the permalink.